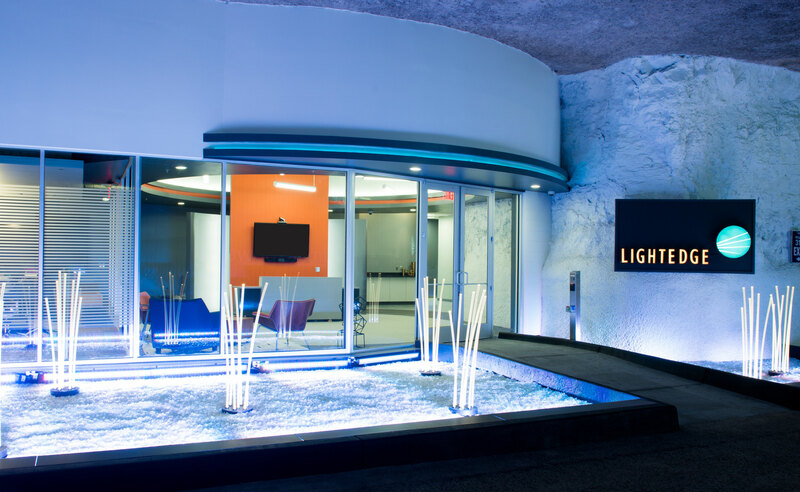 KANSAS CITY, MO – September 4th, 2018 – LightEdge, a premier cloud hosting and colocation provider, announced today plans to expand their Kansas City data center by 20,000 sq. ft. Of this latest expansion, 13,000 sq. ft will be dedicated to white floor space with the additional power to support it. Construction is slated to begin early September with target completion late March. The construction will take place immediately adjacent to their current facility within SubTropolis Technology Center. Future phases with their partner, Hunt Midwest, are nearly unlimited with over 2,000,000 sq. ft of mission critical growth potential in the world’s largest underground business complex. Due to high demand for colocation and private suite space, the compliant cloud provider has no plans of slowing capacity – with the means to add 10,000 sq. ft build-outs in 6-month timeframes going forward. Delivering on their promise of choice and flexible migration paths, LightEdge’s facilities offer customers a Hybrid Solution Center model surrounded by security and compliance with access to multiple carriers and cloud interconnects. Offerings include pure colocation services for those that prefer to own and manage their own equipment, or the options to integrate local LightEdge compliant cloud services, as well as, public cloud services through private high-speed interconnects. LightEdge currently owns and operates seven data centers across Des Moines, IA, Omaha, NE, Austin, TX, Raleigh, NC, and Kansas City, MO that are all concurrently maintainable to Tier III standards. LightEdge was purchased by the Anschutz Corporation in 2008. This strong financial backing and stability continues to empower LightEdge’s rapid growth. LightEdge’s existing 27,000 sq. ft. Kansas City facility opened in June 2014 with the recent investment in a disaster recovery space Fall of 2017. This expansion added 100 workplace recovery seats for clients in the Greater Kansas City area to reserve in the event of a disaster. This construction news comes immediately after LightEdge’s July announcement of their OnRamp acquisition, a leading compliant hosting provider headquartered in Austin, TX. LightEdge’s Professional Services Group also just branched out to form a private consulting agency, Core2Cloud, under the LightEdge umbrella – opening additional opportunities for LightEdge to strategically partner locally and across the US.